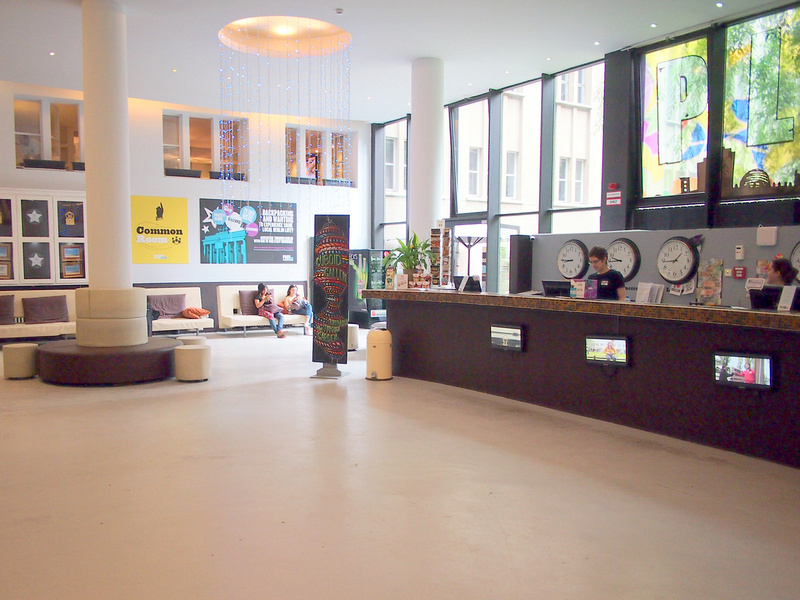 I stayed at the hostel Plus Berlin as a guest of Plus Hostels. 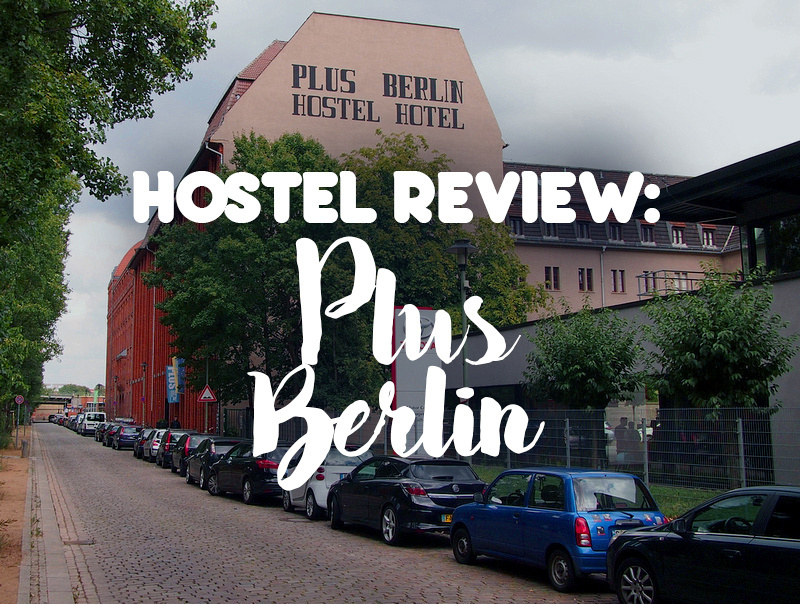 Plus Berlin is one of most highly rated hostels in Berlin so I stayed to review their service. Plus Berlin is ideally situated for visitors. The hostel is a five minute walk from the Berlin Warschauer Straße S-Bahn commuter train station and U-Bahn subway station. For short-term visitors to Berlin staying anyway near the U-Bahn east-west line within Zone A is the most convenient place to stay. It’s a bonus to have a U-Bahn station here as well. Close to the hostel is the East Side Gallery, which is one of the largest remaining section of the Berlin wall. Near the old wall is the landmark Oberbaum Bridge which connects to Kreuzberg, one of the trendiest neighbourhoods in Berlin. Walking from the train station to the hostel I was surprised to see the hostel in a pre-war heritage building (a rarity in Berlin!) And it’s not just a floor but the whole building. 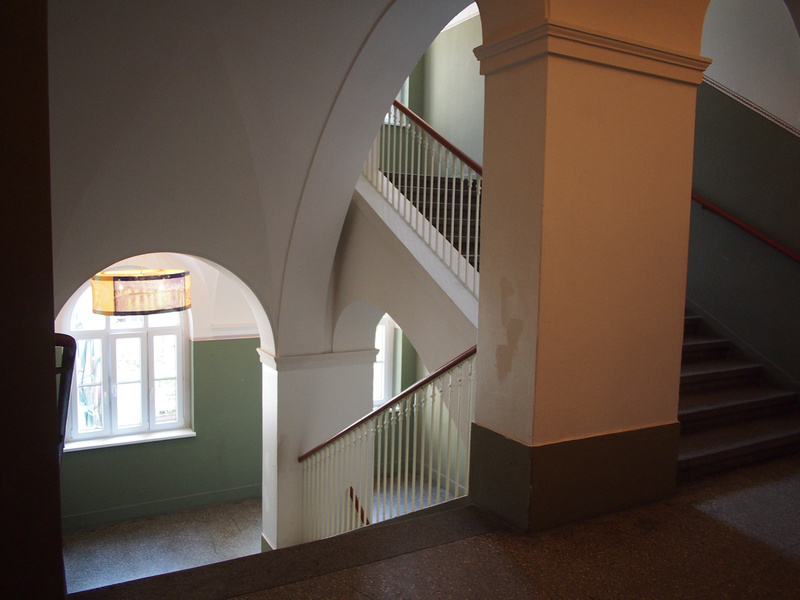 The hostel is in a former hospital that became a school and is now this hostel/hotel. You get an idea of how big the property is when you walk into the large reception and lobby area. 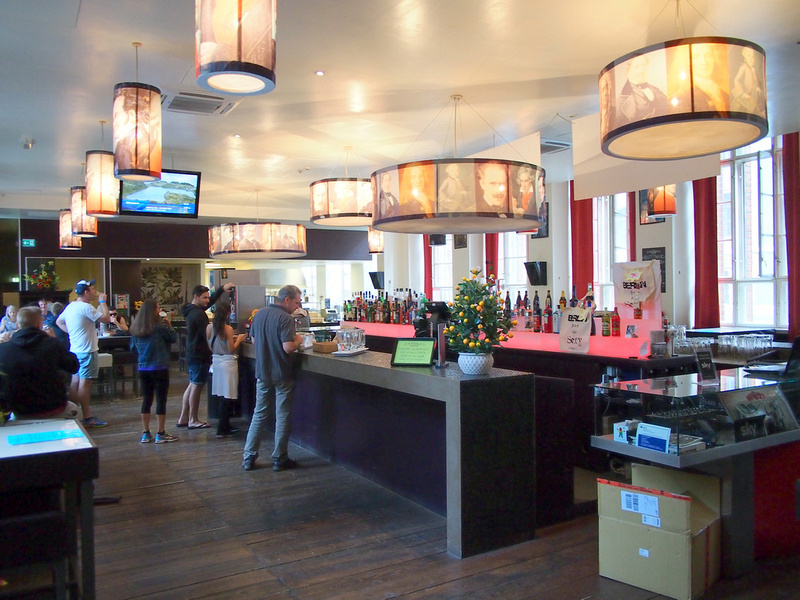 The check-in experience had the professionalism of a hotel with the friendliness of a hostel. Behind the reception is a courtyard with the hostel surrounding the open space, giving natural light to the interior rooms. For my stay I was in a twin private room with a ensuite bathroom. The bedroom had a bunk bed, a table and chair, and two lockers. The lockers were big enough to put a large backpack in, as well as having a shelf. You lock it with your own padlock, which you should travel with anyway (I travel with a TSA-approved combination lock). I loved how each bed has its own reading light, plus a switch to the main room light. The only improvement would be to add a little shelf to place your mobile and personal items at night. 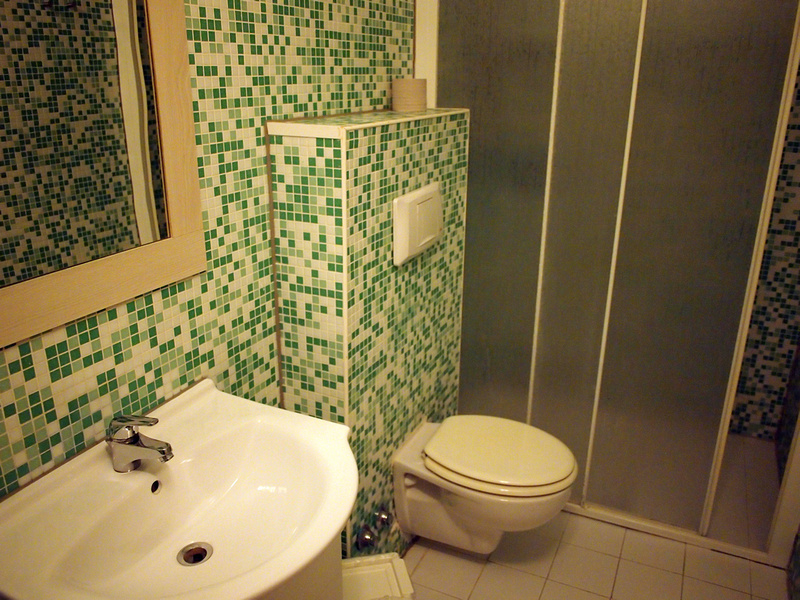 The attached bathroom felt clean and spacious. Walking around the hostel building you get a sense of the space and size of the building. At the back of the building is a large restaurant and dining area where a buffet breakfast is served (€7 per person) and there is a dinner service in the evening. I can’t remember the last time I stayed at a hostel that had its own pool, and if I did it would have been somewhere on a beach. 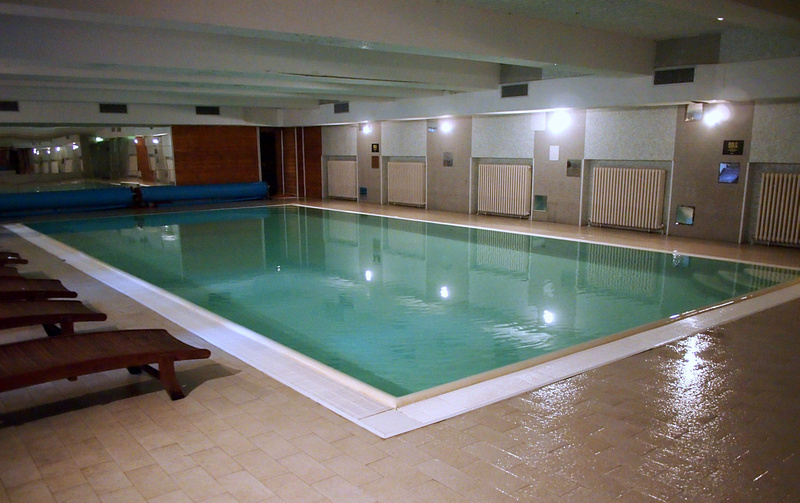 This is the first urban hostel I’ve stayed at with its own pool. Impressive. 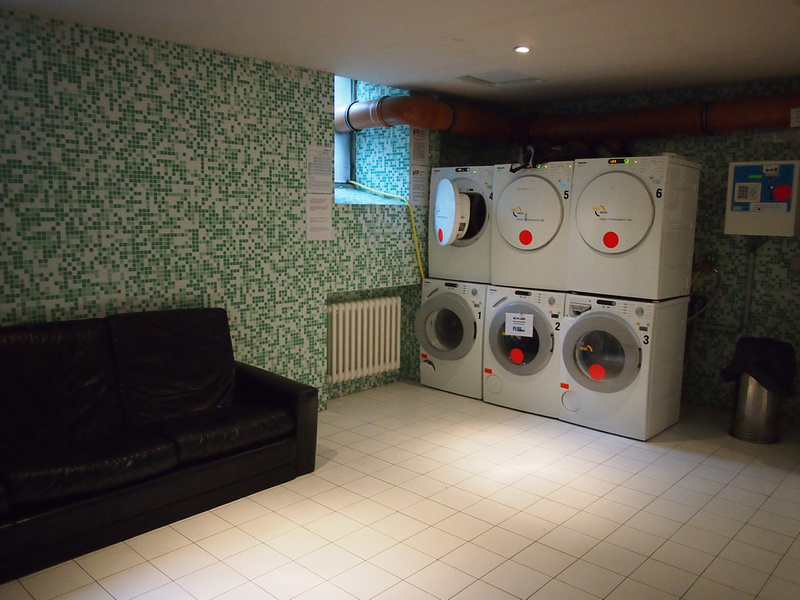 The hostel has it’s own laundry with nine washing machines. Some instructions in English would have been useful though as I started my wash cycle for the longest amount of time (2 hours 40 minutes) instead of an express wash. Change and washing powder is available at reception. 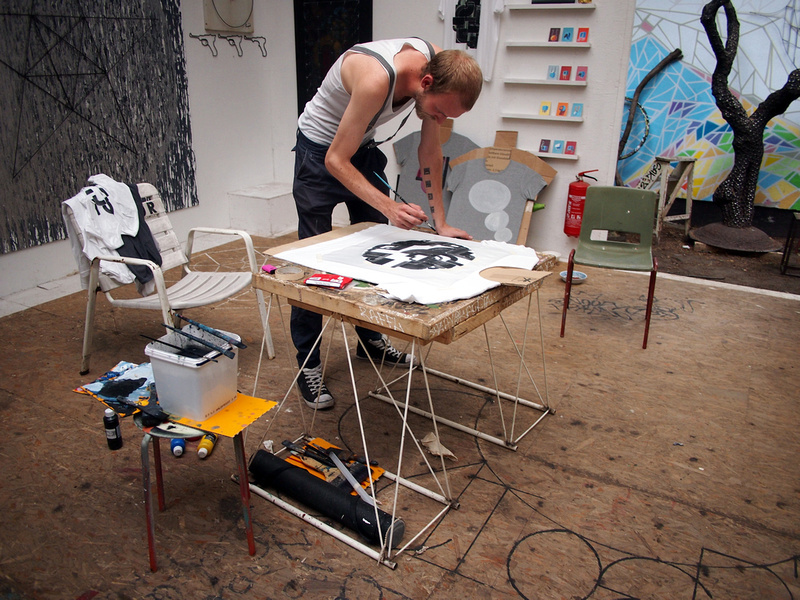 A cool initiative of this hostel is their resident artist program. The neighbourhood the hostel is in has been a popular place for artists but they are being priced out as the area becomes more gentrified. 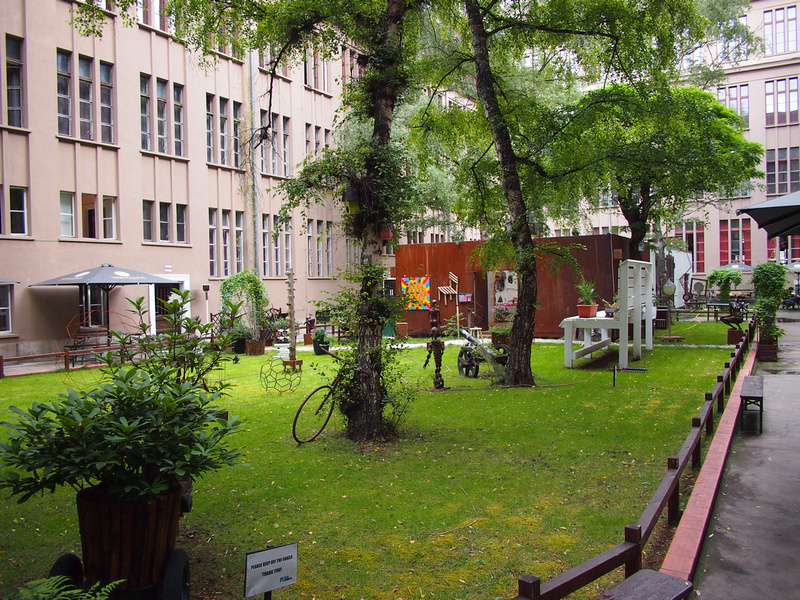 The hostel has offered some artists residency here and a art studio to work from in the courtyard. You can go in and visit the artists as well. And the most important feature: free wifi! Wifi is available everywhere so no need to huddle in the foyer to pick up a signal. There are also a public computer if you are one of the few people remaining in the world without a mobile internet device. 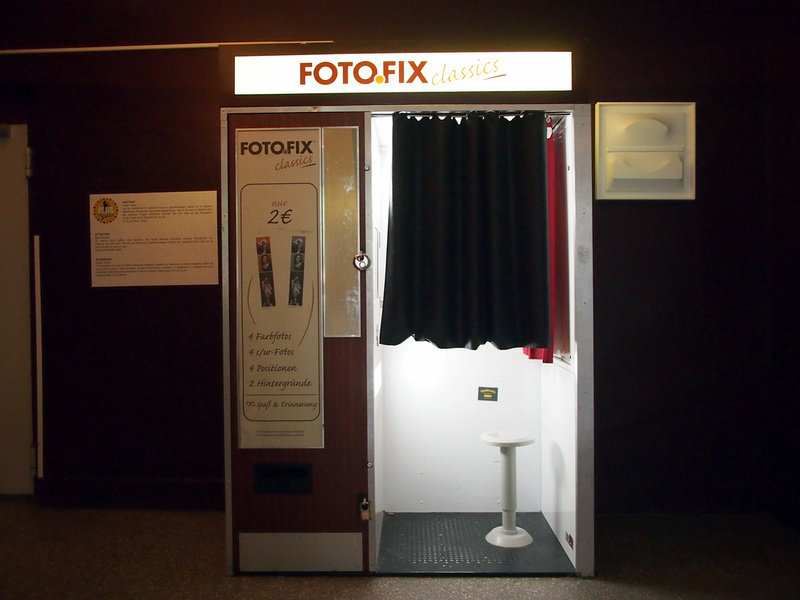 There some food vending machines in the foyer, and I liked that there is a photo booth as well. Overall this a top-quality hotel that deserves its +90% ratings on the booking sites. You can book direct at plushostels.com/plusberlin. For more photos of my stay check out the photo gallery.